Lock in a great price for Bed & Breakfast 3 Gs – rated 9.9 by recent guests! I would choose this guesthouse over a luxury hotel. From the moment you walked into the guesthouse till checkout, the host was there to assist you 24/7, and made you feel welcome and comfortable. Mountain View was breathtaking, and swimming pool was excellent. Bed reminds me of home and breakfast was the best meal I had in 3 months. My friend forgot his headphone at the guesthouse, and the host drove and delivered the headphone to our next stop (an hour away) for free! Thanks for everything. 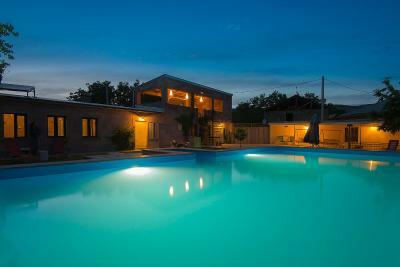 The property is beautiful; it is very well looked after and breakfast is excellent. Sandra understands what tourists want/need. There are several spaces (both indoors and outside) where guests can sit. Sandra kindly gave us a couple of lifts to the restaurant. The views from the house are amazing and we enjoyed our time here. Everything!! it was a perfect stay and we felt so welcome!!! Amazing cozy place. Many thanks to Sandra and Marty for frendly warm welcome. 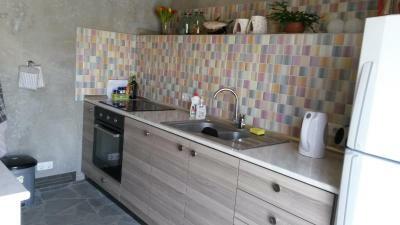 Room, kitchen and swiming pool are really comfortable and clean. Breakfast is really tasty especialy homemade jam :) Many thanks for support with Azhdahak mountain trip. It was the best day within this visit of Armenia! I was positively suprised to find a Dutch people managing a hotel in Goght. My stay was most comfortable and the helpful staff provided assistance in many ways. The heartwarm and caretaking philoshopy of the hotel is a great value. This is a five star b&b. We stayed here with our two small kids and enjoyed it so much. Location is Great! Great views, Village and sites nearby. The host is so friendly and helpful. You can do a lot of Great visits in the area. Rooms are Very comfortable and super clean, lot of facilities and Great breakfast. This is the first time I scored 10 out of 10. Wonderful place. It was better than I thought. Worth to pay. Definitely will come back there! Very easy to finde that pleace - on the main road (from both side!) you have sights informing where you should turn. It is very near to Garni temple and Geghard monastery. The pleace is very clean. 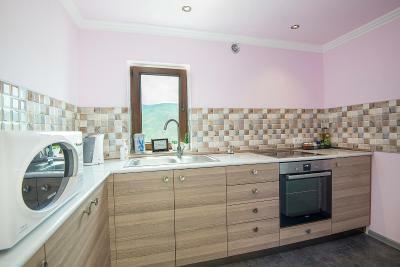 Have also kitchen so you can cook and make tea or coffe. Our room was very big, warm, nice and comfortable. We can also chill out on common room - read a book or watch something. The wifi works perfect. The view from that pleace is breathless. You can eat breakfast and look on mountains. Speaking about breakfast - it is so big that noone will get out from that pleace hungry :). 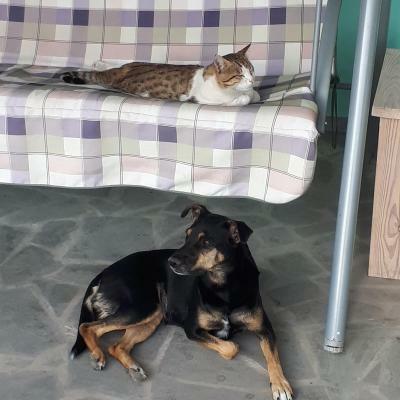 The owners are very nice and helpful, speak good english (which is not standard in Armenia). We need to come back there and stay a little bit longer :). Best stay in entire Caucasus. The rooms are excellent. So much comfort. Very good beds, great showers. 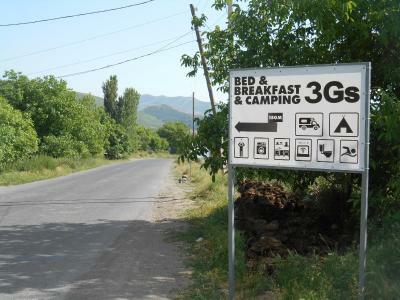 Really good breakfast, nice swimming pool and lovely location with excellent view inbetween Garni and Geghard monastery. The B&B is located in a small village. 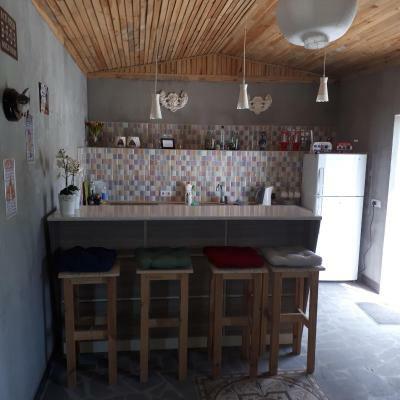 This gives you the opportunity to also walk in the surroundings and learn more about live in the rural areas of Armenia. The owners are super friendly and helpful and have thought of everything in and out the room. Even a laundry automat at no cost. Located in Goghtʼ, Bed & Breakfast 3 Gs has accommodations with an outdoor pool, free WiFi, barbecue facilities and a garden. If you would like to discover the area, cycling and hiking are possible nearby and Bed & Breakfast 3 Gs can arrange a bicycle rental service. Yerevan is 21 miles from the accommodation. This property is also rated for the best value in Goghtʼ! Guests are getting more for their money when compared to other properties in this city. When would you like to stay at Bed & Breakfast 3 Gs? This twin/double room has a bathrobe, view and seating area. House Rules Bed & Breakfast 3 Gs takes special requests – add in the next step! All children under 12 years are charged AMD 7500 per night for extra beds. Unfortunately it is not possible to give a higher number than a 10. This B&B was the first that deserves it, so good it is. the best place in Armenia! Great place. Very friendly staff and a relaxed atmosphere. I recommend this place to everyone who visits Armenia! We loved everything: the kindness of Sandra, the delicious breakfast, the marvellous view, the garden and the swimming-pool, the atmosphere.